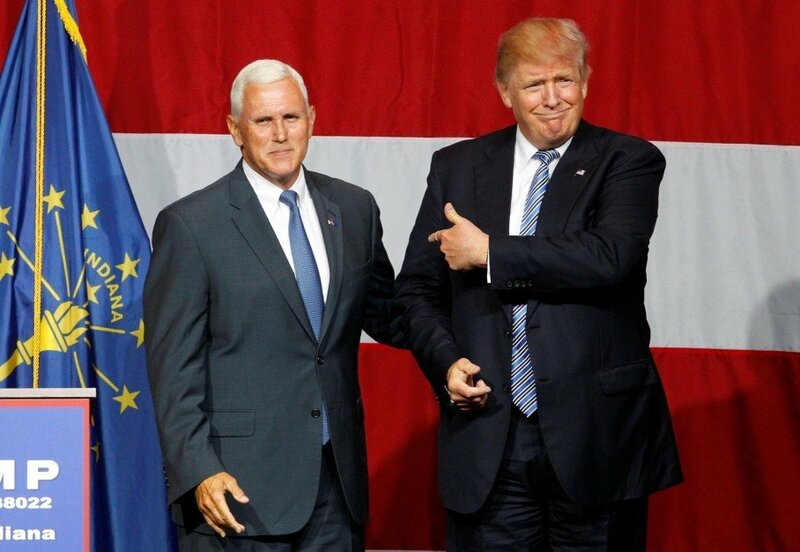 The morning after a horrific terror attack in Nice, France, in which 84 people watching a Bastille Day celebration were brutally murdered by a truck driver, Donald Trump has officially announced Indiana Governor Mike Pence as his 2016 running mate for the upcoming presidential elections. The Republican nominee had initially said he would delay his VP announcement after news of the tragedy hit. 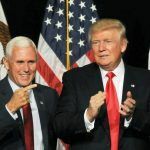 That changed, however, when Pence came up against a deadline to decide if he would run again for Indiana governor (a decision which would have tipped his hand either way), and Trump went ahead with making his candidate selection known via Twitter on July 15. “I am pleased to announce that I have chosen Governor Mike Pence as my Vice Presidential running mate. News conference tomorrow at 11:00 AM,” Trump tweeted. On Thursday night, as revelers watched traditional fireworks on France’s equivalent of America’s Independence Day, a box truck deliberately veered off the road and onto the packed Promenade des Anglais boardwalk, mowing down adults and children relentlessly. For more than a mile, the truck zigzagged through the crowd, killing at least 84 people, including 10 children. French President Francois Hollande has called the mass murder a terrorist act. A quieter complement to Trump’s more brazen persona, the GOP is hoping Pence can unite the party. But the midwestern, ultra-conservative governor is also known to be generally against most forms of online gambling. 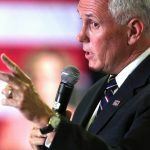 Pence wrote a letter to his state’s congressional representatives in 2014, urging them to support Rep. Jason Chaffetz’ (R-Utah) authoring of the Restoration of America’s Wire Act (RAWA). The bill, which admittedly has slim chance of passage based on its Congressional reception to date, would make Internet gambling illegal on the federal level. But Pence may also be a pragmatist. He showed the ability to compromise by signing a daily fantasy sports (DFS) bill into law in Indiana this past March. Trump’s selection process appeared, before today, to have come down to either Pence or former House Speaker Newt Gingrich. In accordance with election rules, Pence has dropped his reelection campaign in Indiana and has formally accepted the VP position with Trump. 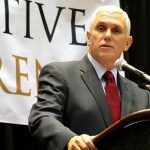 The 57-year-old conservative is serving his first term as governor of the Hoosier State, and is a longtime supporter of the Tea Party movement. Trump, having owned several casinos in Atlantic City a few decades back, may be on a different tack than his new second-in-command when it comes to online gaming views. Another key area of difference that will likely need to be resolved is their respective views on the hotbed issue of Muslim refugees. “Calls to ban Muslims from entering the U.S. are offensive and unconstitutional,” Pence had tweeted back in December, following Trump’s outspoken views on the matter. The Republican National Convention (RNC) begins next week in Cleveland, and local law enforcement is on high alert. A laundry list of GOP all-stars will speak at the convention, and the gambling industry will have a presence as well. UFC President Dana White is slated to deliver a speech. White’s bosses, Station Casinos owners Lorenzo and Frank Fertitta, sold off the mixed martial arts company for $4 billion earlier this month. Florida Attorney General Pam Bondi will also address the delegates. Bondi is a harsh critic of gambling expansion and is currently at odds with the Seminole Tribe over gaming rights. But of course, all eyes will be fixed on Trump. The candidate is not expected to speak until the fourth and final night, on July 21. He has indicated that he will be using a teleprompter, an art he has not entirely mastered, so it will be interesting to see how he plays out with voters, particularly those still on the fence.